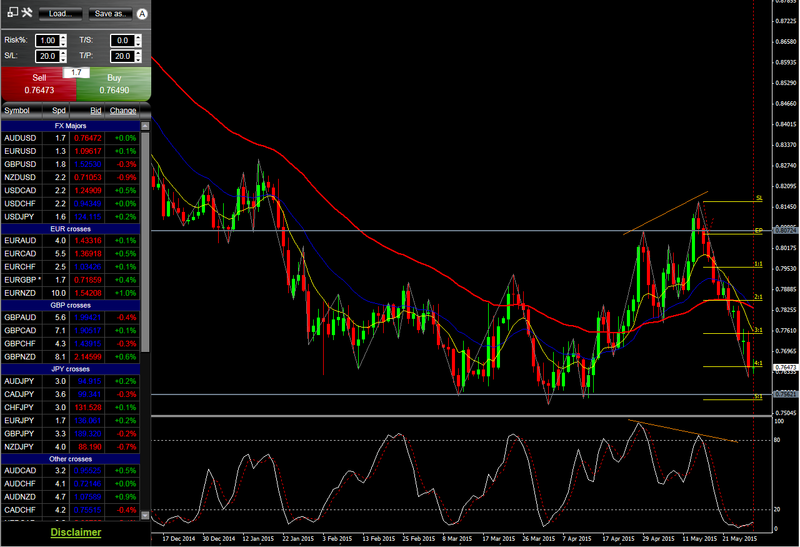 With the elections on the UK, EUR continued to go rally to the upside. 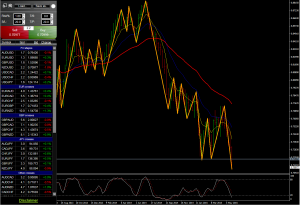 On the Asian side, AUD, NZD and JPY showed very indecisive moves. Stock indices in Europe and Asia all pulling back while the American stayed in the usual range. Oil price continued the steady rise and ended the week with a pullback while Gold showed no signal of being able to escape the tight range that has been the rule since March. This week the Forex Market proved the overall USDollar weakness with all the majors and minors now showing an overall trend behaviour. Exception for the USDJPY which is still showing no signal of getting away from the range between 122 and 118. Regarding the Indices, the European side is still at the pullback while the American are retesting but not breaking the resistance level. Hang Seng closed the week on the upside while the Nikkei also showing some growth after the big drop last week. Gold and Silver showing some strength although not yet breaking the resistance level while the Crude price keeps demonstrating clear and steady uptrend behavior. Dollar regained its lost power and all EUR crosses started to drop consistently. CAC and DAX moving further up almost every day while the American piers retested the previous highs showing no decisive breakthrough yet. In Asia, Nikkei continues its unstoppable uptrend while Hang Seng closed the week with another jump to the upside. Gold and Silver didn’t follow through on the apparent break and pulled back into the range. Oil remained in a very indecisive pattern stuck in a 400 point range all week. The American Dollar continued its rally enhanced by the rumours of an interest rate hike from the FED. EUR:USD pulled back facing the increased time given by the FMI regarding the June payment from the Greek debt. The move of the week was seen on USD:JPY as it finally broke the resistance level at 122. A very indecisive week for the Indices that ended with a sudden overall drop. Exception for the Nikkei still beating all time highs..
Gold is back to the support level at 1180 as Oil closed the week with a sudden rise to 60. 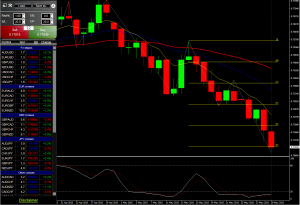 AUDUSD (Daily Chart) – Reversal Short – 14.05.2015 – After the bounce on this support becomes resistance level on the 14th, the high test bar and the clear divergence on the stochastic oscillator met all the rules we need to see on our charts to place an order. Triggered on the 15th this trade is now at +4% in profit. Current opportunities – these are hypothetical trade setups and not all trades will trigger or setup. It is important to seek guidance on trading these setups before risking your own money. Below is the current NZD weekly chart.